As reported last week in Community Care, the government says that adopting more children from care will save £310m. So what’s new? Back in 2012, when working within a London local authority as recruitment and marketing manager for fostering and adoption, I always knew that the forcible, unilateral push for increased adoptions of children in care, by Michael Gove, then Secretary of State for Education, was a clumsy yet relatively unchallenged effort to offload welfare state costs directly back onto the tax payer. I mean, of course, the type of tax payer who is probably earning a household income of £100k+, is married, and… white. As a demographic that accurately represents most modern day adoptions, they offer larger homes, with the all-important mandatory spare bedroom. By and large, they possess the intellect and the confidence of the well-educated needed to access and then navigate complex IVF treatment, part of a typical journey toward adoption. They also, generally, have the financial self-sufficiency (and a handy preference for refusing state financial support), that is needed to legally claim a child, or children, as one’s own. At that time, I wrote a blog, risking disciplinary action by my local authority employer for publishing opposition to government policy, but which, as a care-experienced adult, I felt a moral obligation to expose what I viewed as the hypocrisy and safeguarding risk of bullying local authorities into promoting a mode of ‘adoption first’, within the child’s biological family. I also drew attention to the inherent potential for increased interfamilial conflict and the added trauma for children that it presents. Thankfully, some family courts, I know not whether by judicial concern or due process, hindered the imposition of this shamefully hard-hearted approach, though it deeply frustrated the Department for Education, so very keen to produce cost savings demanded by the Treasury. I recall, during meetings to discuss the progress of family finding activity, adoption social workers often reporting that the courts were holding up approvals by insisting upon deeper explorations of a child’s wider family to identify relatives who might possibly come forward as substitute parents. Since Gove himself was adopted – not by black parents it should be noted – who would dare to challenge? My own settled view then, as now, remains firmly opposed to ‘transracial’ adoptions, except as a genuinely last resort. I would still argue in favour of a culturally-matched foster home in preference to a culturally mismatched adoptive home. So, within the article I wrote at the time, I argued against this superficial and psychologically superficial approach, citing a BAAF study that had examined the experiences of Chinese orphans who arrived from Hong Kong in the 1960s and were adopted by mainly white British parents. This revealed common experiences including ‘varying levels of racism, prejudice and feelings of belonging and difference within their adoptive families and wider communities.’ Some of the women, the three-year BAAF study found, ‘felt alienated, struggled with conflicts of dual/multiple identities and had experienced race-based mistreatment. The Department for Education’s disregard for the many benefits of culturally-matched adoptions is motivated by cynicism, and aimed at an often disadvantaged part of British society that is less able to speak up for itself and be seriously listened to. To add insult to injury, the government not only lauds its’ own politically-correct ‘colour-blindness’, but audaciously uses it to sanction its’ own fiscal savagery! If those who are to suffer most from this cruel policy, that is, black and minority ethnic children in care, then it is up to others to speak out for them. Having lived through the full spectrum of child abuse, then through the care system in the eighties, and having spent two decades working within, and for, children’s services, I feel morally obliged to do so. 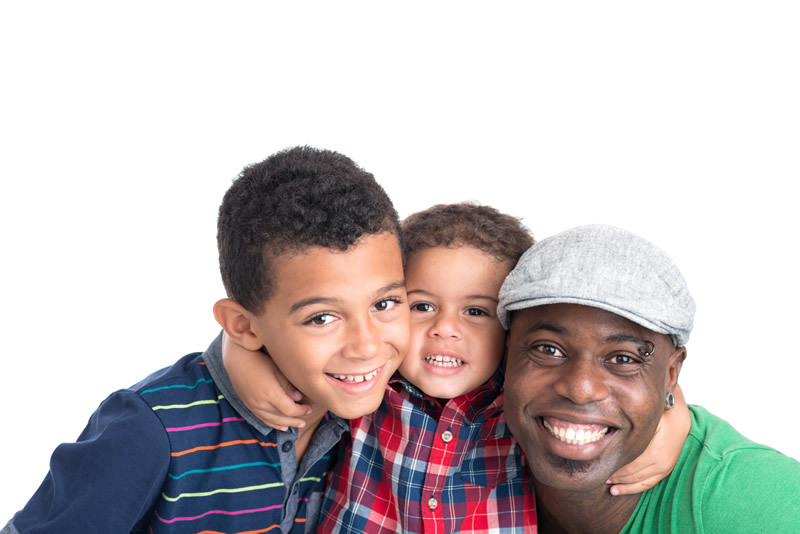 Here I propose a kinder, more socially-cohesive alternative that offers prospective Black adopters, so often demographically opposite to their well-heeled White counterparts described earlier, the financial means to adopt black children, for whom long term fostering is currently their plan. Limited by the extent of my professional knowledge, as I am not a qualified social worker, I ponder how this might be achieved. To achieve a culturally well-matched, and therefore more resilient adoptive placement, what more does it take than to offer those living in social housing larger accommodation, and others in privately rented or owned housing, the financial support to extend or buy a larger home? On a case-by-case, means-tested basis, that might amount to an upfront financial investment by local authorities for each looked after child, but that cost would be much, much less, compared with the cost of long-term foster care provision, now longer with Staying Put, which allows (rightly) young people the opportunity to remain living in their foster families until their twenties, if they wish to do so. However, it continues to be the case that successive governments and local authorities either won’t (ideologically) or can’t (fiscally) commit the funding needed to implement this forward-thinking, future-conscious approach. I believe this would make an enormously positive impact upon abandoned, traumatised children and young people who need loving, racially-matched homes now, and upon our society in years to come, as today’s youngsters grow not into repetitive victims of our judicial system, but confident, productive, and proudly self-supporting members of society. In the same way that Germany’s chancellor, Angela Merkel, as I suspect she has, in some way made attempts to meaningfully atone for the Holocaust by accepting over one million Syrian refugees, I believe this pressing issue offers Britain an opportunity to make good on its’ debt of gratitude reaching back to the Windrush Generation. Black children in long term care unquestionably deserve the love and cultural authenticity that can only be provided by black adoptive parents. A British value that everyone recognises is ‘fair play’, and after World War Two this country was not rebuilt without significant help from overseas. It is high time that the British government, of whatever political persuasion, packed in this shameful penny-pinching, and invested in the most disadvantaged within our society. This is an excellent way to start.